. إن Grand View Hotel حريص على توفير الراحة للنزلاء، فلا يوفر الموظفون جهداً في تقديم أفضل الخدمات وضمان حسن الاستقبال. يقدم هذا الفندق العديد من الخدمات الكفيلة بإرضاء أكثر الضيوف تطلباً. بالإضافة لهذا، تتضمن كل غرف الضيوف مجموعة واسعة من وسائل الراحة . بعض الغرف توفر حتى تلفزيون بشاشة مسطحة, مرآة, مناشف, حوض الاسترخاء, غرف لغير المدخنين لإرضاء أكثر الضيوف تطلبًا. يقدم الفندق العديد من الفرص للاستجمام كمثل مسار جولف - ضمن 3 كم, بلياردو. يشكل Grand View Hotel بخدماته الراقية وموقعه الممتاز، قاعدة مثالية للاستمتاع بإقامتك في المدينة. 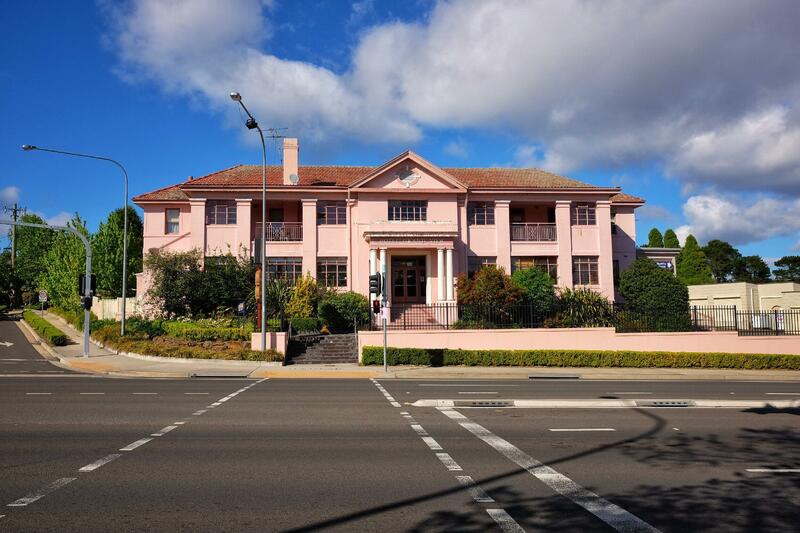 Room tidy, location good, easy 2km walk to Wentworth Falls. Internet was intermittent and when queried staff was fobbed off. Eventually internet came on. Recommend first shower in mens bathroom as 2nd one has the window stuck open, proving a bit cold at night. 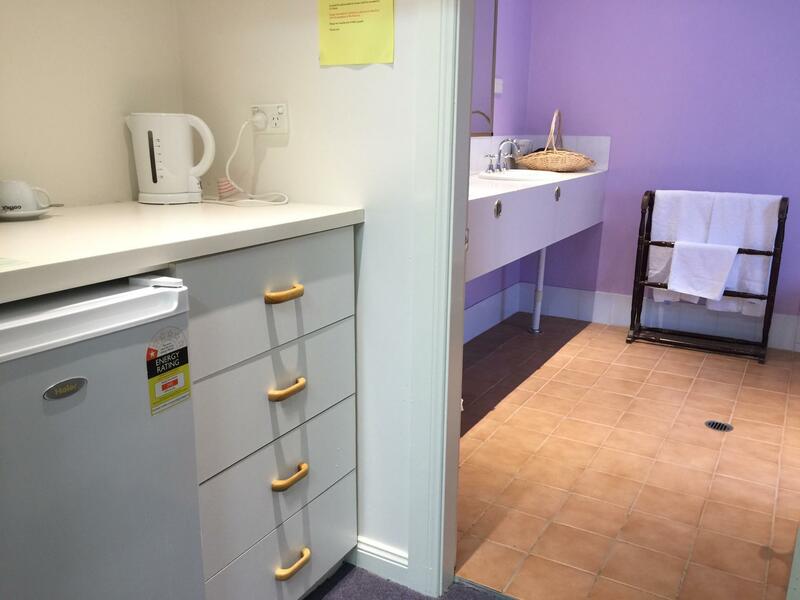 The place is clean, close to Wentworth Falls and good value for money. Note you don't get wifi in your rooms although they advertise it. Also, ensure you take earplugs as the place is right next to the main road. If you can't stand room without aircon, this isn't the place for you as the room can get warm- but it is reflected on the price. Overall good value for money. You have read the booking details incorrectly. Please see below what is on Agoda FREE when staying in EXISTING BEDDING. To book a cot requires assembly, linen, and then cleaning which of course incurs a charge! Child and extra bed policy Infant 0-1 year(s) : Stay for free if using existing bedding. Note, if you need a cot there may be an extra charge. Yes there are creaking floorboards in part of the building as it is an old building. The Linen is fresh and clean & if you thought otherwise you really should have made us aware of this at the time but perhaps being disgruntled in not getting the cot free has led to this review! Rooms are good i had the double room. Need a tv for the price paid. The food there was awesome. I had the Tbone and was cooked to perfection at a great price. Alround a great pub amd good atmosphere. 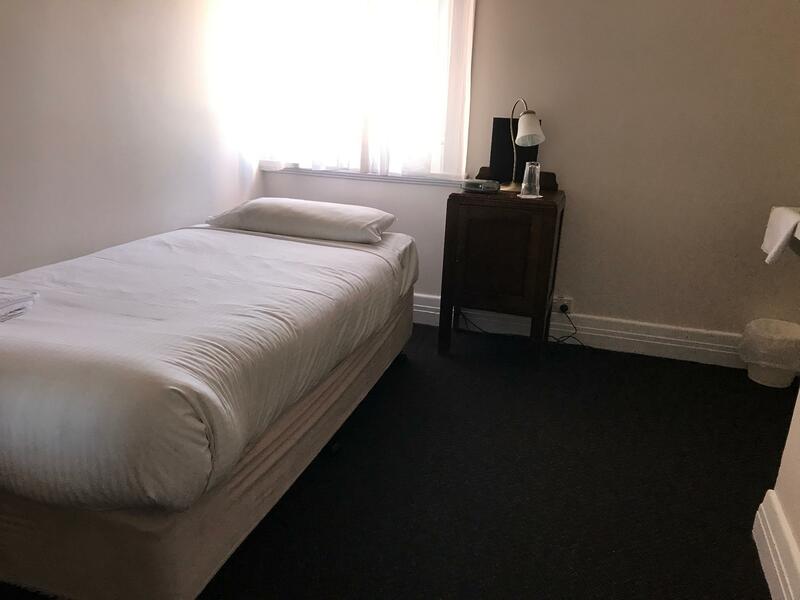 Comfortable and clean room with sink, wardrobe, drawers and electric blanket. Staff were very good and kindly allowed us to order meals even though it was right on their closing time. Bathrooms are shared (which is well advertised on their website or with booking websites) however ladies bathroom had. O locks on shower cubicles and nowhere to put belongings to keep them dry and away from the shower spray. Apparently the men's bathroom was better. No parking available onsite the night before the markets either. Arrived at hotel, staff friendly, looked at room which smelt of stale beer and very old building smell. It had no TV and very dated furnishings. My husband is asthmatic and my son has allergies and so could not stay in the room they gave us. Lets hope they refund our accommodation charge. If you're looking for value, clean accommodation for a night in the mountains, I highly recommend the grand view. Don't expect WIFI or modern facilities, however, for the price, the place is extremely clean and well maintained. Recommended for short stays. 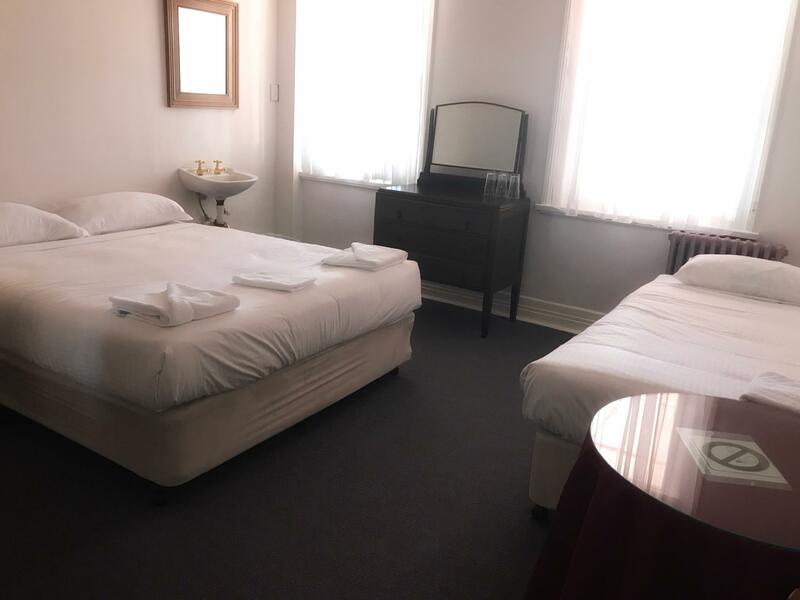 This place is fantastic if you like a clean, reasonably priced bed for a night or two. Facilities are basic but clean. Don't expect mod-cons. Not even WIFI here! However, if it is a bed you're after, and are in the mountains to get out and about, I highly recommend! Not a fashion motel, but very nice for traveller. Nice location, close to train station. Friendly and helpful staff. Great dinner especially considering there's only few available options in town. That would be a little noisy at night if you live just close to the high way. Perfect for our family with 2 kids. (7 + 11) Great pub food.Freindly atmosphere. Bit of road noise. Maybe try a room away from the main road. A pleasant and friendly hotel. Bistro food was filling and tasty. My husband liked the fact they had Guiness on tap! 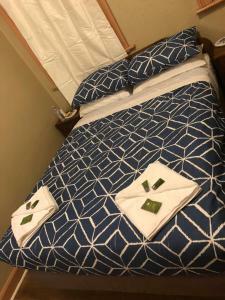 Room was comfortable and adequate for our one night stay. 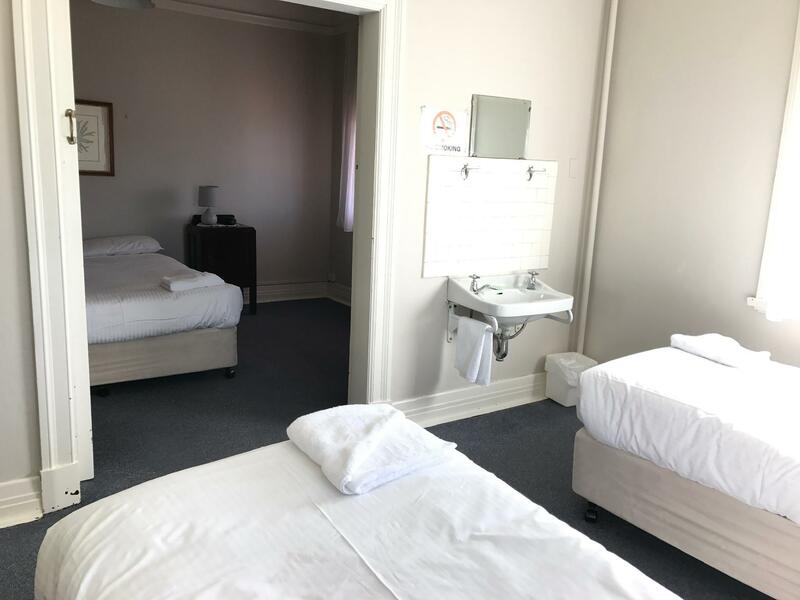 Quaint: lovely country inn feel; very homey ; Location - Wentworth Falls is quiet and gorgeous; the National Pass is unmissable ; Value - I stayed Sunday and Monday and this was undoubtedly cheapest. 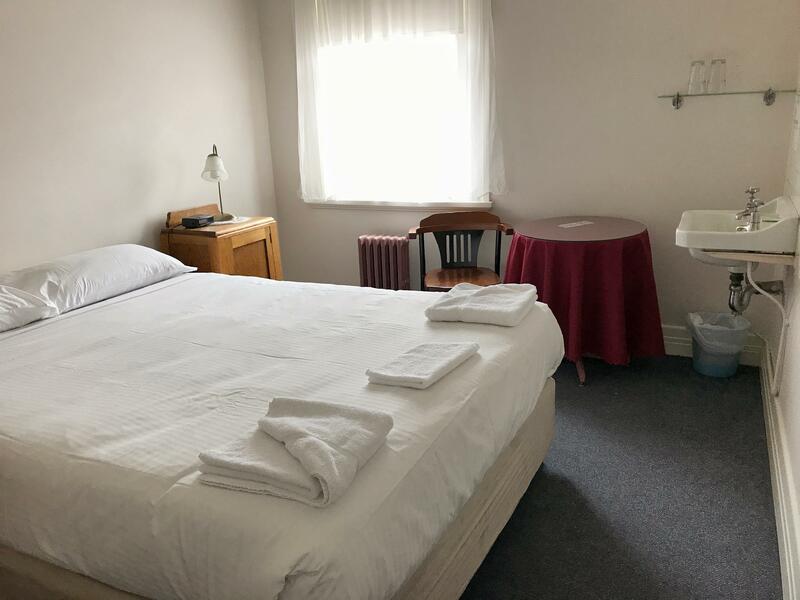 I love the location, the old building, the friendly staff, the quaint rooms and great location close to the train station and the start of the Charles Darwin Walk (which is beautiful and leads to the start of the National Pass). I had no problems at all with the shared bathrooms - there was barely ever anyone in them at the same time as me (although I showered at admittedly odd timws). All that brought the score down for me was the breakfast, which was a little bare - but then for the price it's fine. The actual bistro meals are fantastic however; some of the best around. I thoroughly recommend this if you are looking for a cheap, quiet little getaway, particularly on your own. i must stress that i am commenting on my spa room which was very good. 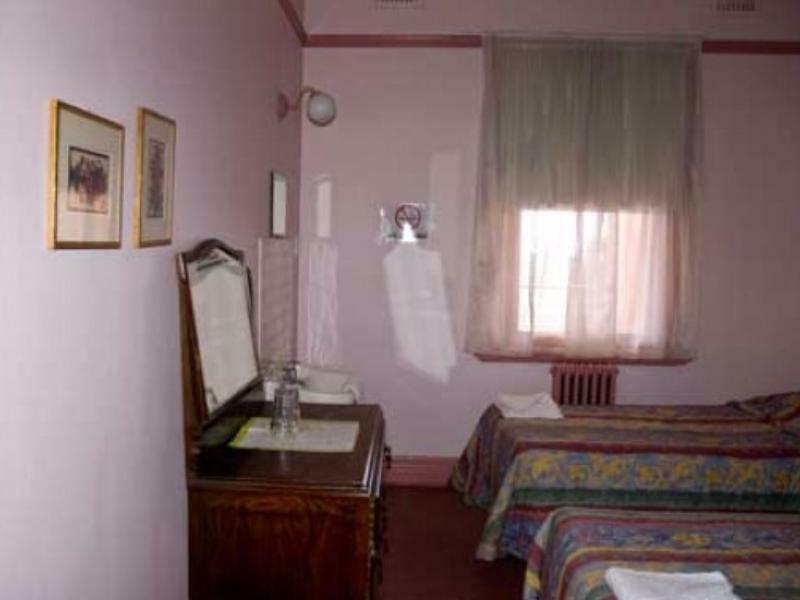 All of the other rooms are much cheaper and have shared bathrooms. Nevertheless it all has that lovely olde-world charm. It would be a great place to stay if on a small budget. I loved my spa in my spacious bathroom. I enjoyed the lack of formality and not having to go out for a good meal each night because the reasonably priced restauarant there had everything I wanted. Quite run down but the room was clean. Very friendly and helpful staff. Our stay at grand view hotel or pub was ok. We came late and have been very happy to meet nice people of the stuff. The staff was very kind and friendly and helped us a lot with informations about nearby attractions. The rooms of this old charming place were simple, not to big, but fullfilled our expactations. Everything we needed was inside. As we normally prefer indoor WC we have been very surprised by the clean and excellent maintained comon public bathroom. So we had no problems at all. Although our rooms are close to the main street we had a silent and good night. Surprisingly the food served in the pub was very good. Hard to believe, but it was delicious.